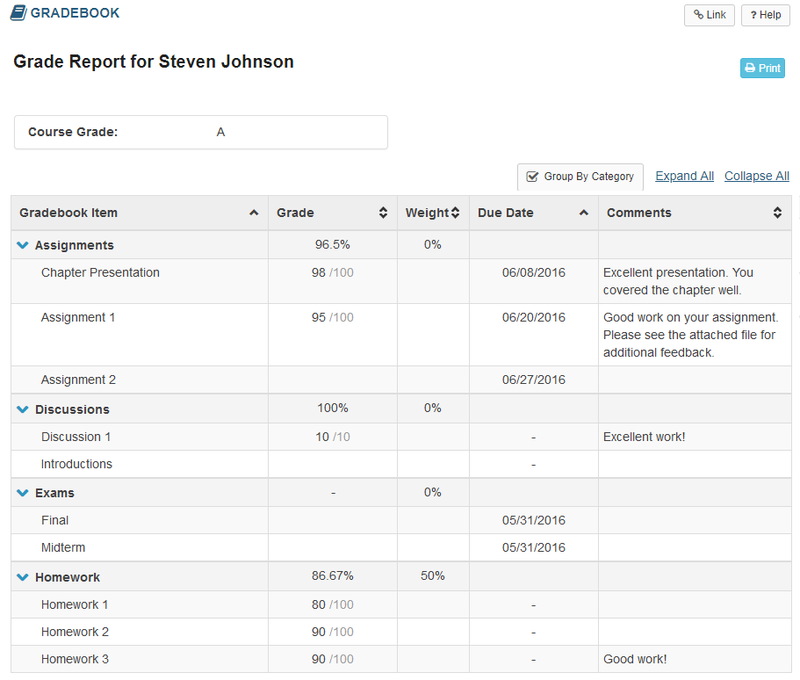 Sakai Guides and DocumentationStudent Guide Viewing Your Grades in the GradebookHow do students view their grades in the Gradebook? Zoom: View your grade report. Note: While grader comments will appear in the Gradebook for items such as assignments and quizzes, remember that additional instructor feedback and/or graded file attachments may also be available via the Assignments and Tests & Quizzes tools.